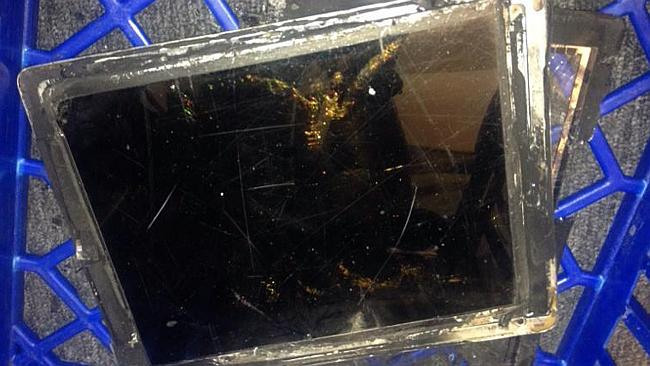 A Vodafone retail store in Canberra had to be evacuated on Wednesday because an iPad Air burst into flames. The fire allegedly started at the charging port, set the whole iPad on fire and proceeded to fill the entire store with smoke. The fire department was called to put the fire out and later an Apple rep visited the store to collect the device for further inspection. No one was hurt during the incident. This is not the first time we see devices bursting in flames or even exploding, but hopefully this is just an isolated incident instead of a widespread issue.